Situated on the banks of Hastings River, Le George Motel is 15 minutes’ walk from Town Beach. All rooms feature a balcony offering water and pool views. Port Macquarie Le George Motel is just 5 minutes’ walk from Port Macquarie’s town centre. 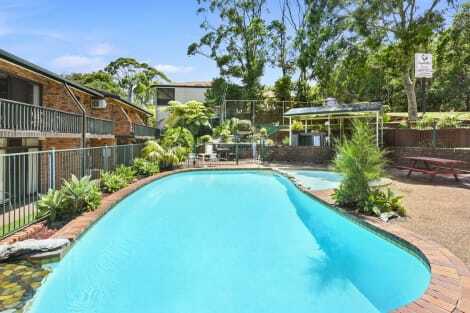 It is 9 minutes’ drive from Port Macquarie Airport. Guests can enjoy a relaxing swim in the pool or walk along the river bank. The tour desk books boat cruises, diving, fishing and historical tours. The air-conditioned rooms feature a living area with a sofa, flat-screen TV and tea/coffee making facilities. Each room includes an en suite bathroom with a shower, hairdryer and free toiletries. Make yourself at home in one of the 10 air-conditioned rooms featuring kitchenettes with refrigerators and microwaves. Complimentary wireless Internet access keeps you connected, and digital programming is available for your entertainment. Conveniences include coffee/tea makers and irons/ironing boards, and housekeeping is provided daily. Enjoy recreational amenities such as outdoor tennis courts and an outdoor pool. Additional amenities at this motel include complimentary wireless Internet access and barbecue grills. With a stay at Excelsior Motor Inn in Port Macquarie, you'll be near the beach, within a 10-minute drive of Lighthouse Beach and Port Macquarie Courthouse. 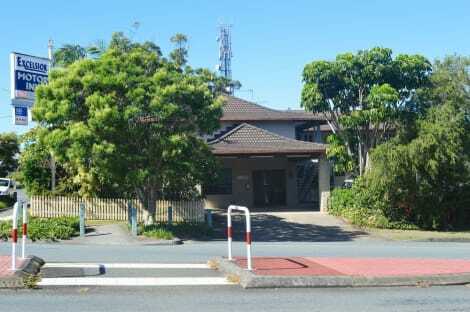 This motel is 0.2 mi (0.4 km) from St Thomas Anglican Church and 0.3 mi (0.5 km) from Port Macquarie Museum. Featured amenities include luggage storage and laundry facilities. Limited parking is available onsite. Featured amenities include express check-out, laundry facilities, and a library. Free self parking is available onsite. Enjoy a meal at the restaurant, or stay in and take advantage of the hotel's room service (during limited hours). Continental breakfasts are served on weekdays from 6:30 AM to 9:30 AM and on weekends from 7:00 AM to 10:00 AM for a fee. Make yourself at home in one of the 7 air-conditioned rooms featuring refrigerators and flat-screen televisions. Rooms have private balconies. Pay movies and DVD players are provided for your entertainment. Private bathrooms with showers feature complimentary toiletries and hair dryers. lastminute.com has a fantastic range of hotels in Port Macquarie, with everything from cheap hotels to luxurious five star accommodation available. We like to live up to our last minute name so remember you can book any one of our excellent Port Macquarie hotels up until midnight and stay the same night.